Microsoft is adding to its European cloud infrastructure, with plans to open new data centers in France next year, CEO Satya Nadella said Monday. The company has already spent US$3 billion growing its European cloud capabilities. These include data centers in the U.K. hosting Azure and Office 365 services, and in Germany hosting Azure. The French data centers will host Dynamics 365, Microsoft's new ERP and CRM offering, in addition to Azure and Office 365. The company has already won over the the U.K.'s Ministry of Defence and German auto parts manufacturer ZF to its cloud services. Ireland's Health Service Executive and the Franco-Japanese car-making partnership Renault-Nissan Alliance are also customers, it said. 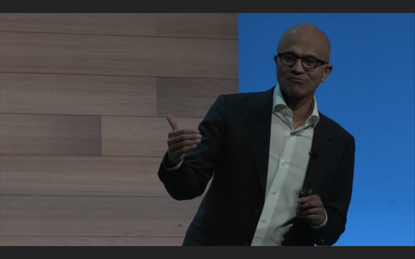 Key to winning European customers is the issue of "data sovereignty," according to Microsoft. Data sovereignty is typically about ensuring data remains under the control of local laws, and in Europe those come at two levels. Government rules on secrecy typically require that government data remain within national borders -- so data centers in the U.K. are vital if the U.K. government is to remain a customer, for example. The storage and processing of personal information about European Union citizens faces other restrictions: It must only be done in jurisdictions offering the same level of privacy protection as EU law. While it's possible to export such data to the U.S. using legal mechanisms such as Privacy Shield, many companies are opting to keep things simple and keep the data within the EU. The UK's recent "Brexit" referendum vote to leave the EU threatens to halve Microsoft's EU data center capacity, though, by putting UK servers outside the boundary if and when the exit happens. Adding more locations inside the EU will give Microsoft diversity. "Trust and scale are some of the most important elements of our design plan for Microsoft cloud," CEO Satya Nadella said at a Microsoft event in Dublin on Monday. Microsoft is not the only cloud company thinking of such things: Amazon.com last week announced that it will add a French location to its Amazon Web Services offering next year to increase geographic diversity. The company already has two data centers in the EU, in Ireland and Germany, and, in anticipation of Brexit, is building one in the U.K. Mindful of recent attempts by U.S. authorities to subpoena email messages stored on its servers in Ireland, Microsoft has taken a hands-off approach to customer data in Germany, placing it under the control of a data trustee, T-Systems International, owned by German telco Deutsche Telekom.